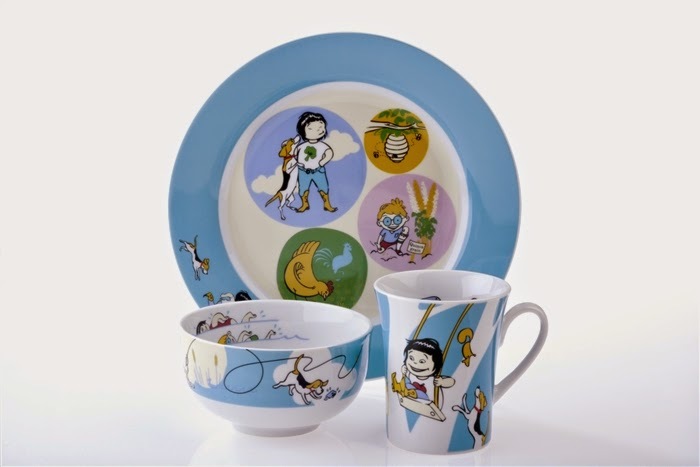 Kidliga portion control dinnerware is amazing for helping to teach the kids the right amounts of each food group they should have in their dishes. With cute, colorful designs, the little circles you see in the picture above depict what food group should be in each spot, and approximately how much of it should be too, for a child-sized serving. I like the Kidlinga set. Be sure to check out their website if you want to purchase a set for your home. You will also find family-friendly recipes, coloring pages, and more over there too. And be sure to visit their Facebook and/or Twitter. What do you do to ensure proper portion control with the kids? Love those kind of plates. In my old job wherein we supply the government for things like this (for their giveaways for kids), they love the portion control plates and teaches kids to eat more veggies, etc in a fun way! What a great idea. Portion sizes are even difficult for adults on occasion--ok more ten on occasion. Great idea to start them learning about portion control and what they should be eating while they are still young. I can think of quite a few adults who would benefit from these plates too. What absolutely cute dinnerware! I think think appeals to children of all ages and thanks for highlighting this today! What an amazing idea! I wonder if there is similar dinnerware for adults too? If only more kids had been taught portion control. That is an awesome idea. That is great, many should be taught portion control. That is just too cute! We love quinoa too :) I need a plate like this for me lol. These look like such high quality. I agree that it should not go to a 2 year old! Maybe when she visits she can use the plate. This is a fun way to make portion control something to play with instead of something to endure :) Our youngest can't get enough quinoa so she would love that, too! Wow what a beautiful set of Porcelain dishes! I don't blame you for keeping them safe for her! Portion control is very important! What a great set! I think kids under 8 would love this! I know my youngest would. She loves to read and would to have her own dinner decor that she has picked out. This is really cute! I love kid dishes. I already bought my youngest nephew 2 sets. The dinnerware set looks so cute. Kids would really love them and I guess this is one way to entice them to eat. Such a great way to incorporate everything together! I'm sure our friend's kids would love this - I'll definitely have to share it. I could use this platewear for myself! I know my kids would benefit from portion control plates like this. Aww I think my grandson would really love this, and I totally agree with you. Great Post my friend. Thanks for sharing all the neat tips too. This is a great set, and the purpose behind it is also great! :) It's so important to teach healthy eating habits from the start. Omg how cute is this dinner plate set?!? My daughter would totally love a set like this! That looks so cute!!!! My daughter would love this, heck I love this to help keep my portions smaller. This is a great idea for kids. I know some adults that could use some portion control too. Very cute sets for the kids, i love the Mrs. Strawberry's Easy Peasy Quinoa Salad recipe. Going to have to try that one. These are really cute, and an awesome way to teach portion control at an early age!